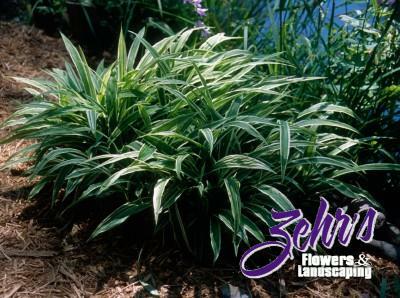 An excellent alternative to hosta in the shade garden. Slowly forms a mound of foliage by creeping rhizomes, but is not invasive. The 1" wide foliage is bright green, bordered by white and is very attractive. Combines well with hosta, ferns, astilbe and other shade loving plants.